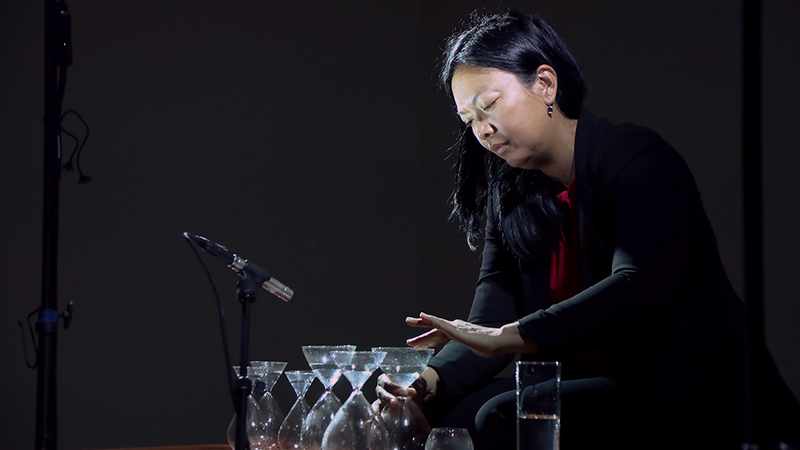 Commissioned and produced by Asia Society as part of Creative Common Ground, an initiative that expands contemporary performance practice by commissioning, producing, and presenting artists who explore beyond traditional disciplinary boundaries. The initiative is supported by a generous grant from The Andrew W. Mellon Foundation. Fragility: An Exploration of Polyrhythms has been developed in partnership with Pioneer Works with additional support from the Foundation for Contemporary Arts Emergency Grant during the residency phase. Watch part two of the performance here. Download the programs notes here.